Ben & Jerry's ice cream is on the moooove in the Big Apple. The dairy dessert do-gooders will send a truck onto the streets for six weeks starting Monday to give away free ice cream in honor of the silver anniversary of the company's "New York Super Fudge Chunk." The truck will pop up around town virtually every day until July 4 and plans to give away more than 50,000 samples of multiple flavors to salivating New Yorkers sweating in the heat. Plus, they'll offer "Twitter Wednesdays," during which time you can use Twitter to ask the truck to sweeten your block in town. 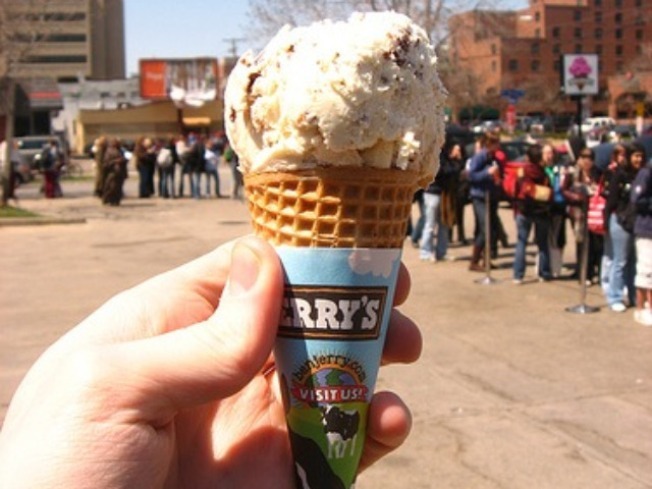 You can find out where the truck will be on which days by checking out Ben & Jerry's website. "In a city with over 8 million people, we hope to find willing mouths in parks, office buildings and other select events to help us reach our goal," the site reads. That likely won't be a problem.